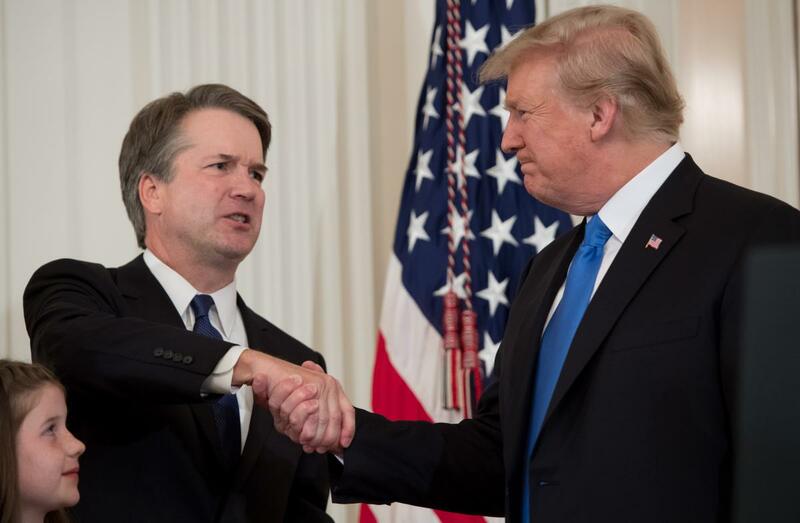 On July 9, President Donald Trump nominated Judge Brett Kavanaugh to fill the Supreme Court vacancy left by the retirement of Justice Anthony Kennedy. This week, we examine some of Judge Kavanaugh’s decisions on key communications policy issues, like net neutrality, the First Amendment, and surveillance. At 53, Kavanaugh is relatively young, consistent with President Trump's desire to appoint judges who can serve on the High Court for decades. Since 2006, Kavanaugh has served on the U.S. Court of Appeals for the District of Columbia Circuit, often called the nation's second-most-powerful court. He was appointed to that post by President George W. Bush, after serving as Bush's White House staff secretary. According to Brookings Institution contributor Stuart Brotman, Kavanaugh "represents, along with Justice Elena Kagan, the strongest combination of tech savviness, administrative law expertise and depth of legal scholarship." 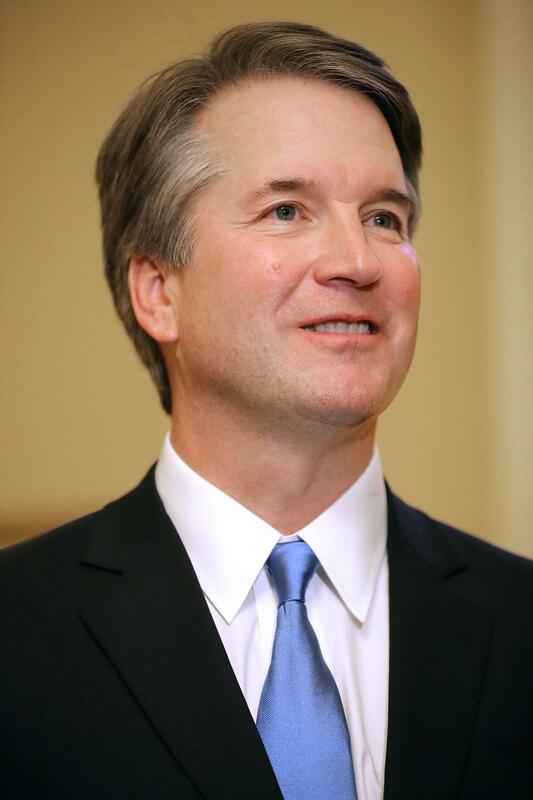 Judge Kavanaugh has written more than 300 opinions in the 12 years he has been on the D.C. Circuit -- and some of these have direct implications for the future of communications policy. Many federal policymakers and advocates are wary of Judge Kavanaugh’s desire to rein in the agencies at the heart of the modern administrative state, as articulated through his opinions on Chevron v. NRDC. This statute gives formal and, in the eyes of many, quasi-constitutional status to the modern administrative state. It also raises enduring questions about the relationship between agencies and the three constitutionally established branches of government. For example, when an agency claims authority to promulgate a regulation, who has the power to limit the exercise of this authority? When someone takes an agency to court asserting that a regulation lacks legislative justification, what standards should the courts use to weigh this claim? Essentially, “Chevron deference” is the notion that courts should tend to defer to federal agencies’ expertise when the agencies are interpreting ambiguous statutes. Galston claims that Kavanaugh believes the legislative will of Congress should prevail over executive power, at least when the courts are prepared to interpret statutes authoritatively. A post-Chevron world would expand judicial power in the administrative sphere at the expense of both Congress and the executive. More regulations probably would fail judicial tests. The regulatory process, already more like a marathon than a sprint, would slow further. In response, Congress might work harder to make its legislative intentions clear, and the White House might work harder to remain within the four corners of congressional intent. Kavanaugh’s Chevron position has support from Senate Commerce Committee Chairman John Thune (R-SD). Kavanaugh's record on Chevron demonstrates "that when it comes to the regulatory agency fiat, he's going to defer to Congress and the laws of the land as opposed to something that comes out of an executive agency. To me that makes sense, that's adhering the law" and applying the Constitution, "which is what we want a judge to do," Thune said. Would a Kavanaugh confirmation mean an immediate overturn of Chevron? Benton Senior Counselor at the Georgetown Law Institute for Public Representation Andrew Schwartzman says "It will take a number of years for changes to core First Amendment doctrine, Chevron deference and other legal doctrines to be changed." Kavanaugh’s view of the First Amendment is also sure to affect future communications policy. For 85 years, the First Amendment rights of network operators like...broadcasters and cable operators have always been balanced with the rights of the public. Kavanaugh's ascension to the bench could start the mainstreaming of a legal theory that would all but eviscerate the public's rights with regard to networks that use public rights-of-way and by law are required to serve the public. "Kavanaugh's positions are a nightmare," said Free Press Policy Director Matt Wood. "His unhinged and extremist views are a menace to a broad range of rights and liberties...Having a justice who thinks that the companies we pay to carry our speech should also get to decide what we say is an extraordinarily dangerous proposition, for people across the political spectrum." Kavanaugh’s views on Chevron and the First Amendment colored his 2017 decision on network neutrality. If you recall, the D.C. Circuit twice upheld the 2015 net neutrality rules adopted by the Federal Communications Commission under then-Chairman Tom Wheeler, despite Kavanaugh's dissent. Wheeler's rules—which prohibited blocking, throttling, and paid prioritization—were upheld by the D.C. Circuit in a 2-1 panel decision in June 2016, and again when the full court denied the broadband industry's petition for an en banc rehearing in May 2017. In 2017, serving on the U.S. Court of Appeals for the D.C. Circuit, Judge Kavanaugh issued his dissent against net neutrality rules for two main reasons: 1) he believed the FCC lacked the authority to implement the rules and 2) he believed the net neutrality rules violated the First Amendment rights of ISPs by preventing them from “exercising editorial control” over Internet content. Kavanaugh’s Chevron philosophy guides the first reason, his First Amendment interpretation the latter. As mentioned, Judge Kavanaugh is against Chevron deference, and believes that the FCC should not get Chevron deference on "major" rules. Kavanaugh believed that the net neutrality rule “is one of the most consequential regulations ever issued,” but also that, "Congress did not clearly authorize the FCC to issue the net neutrality rule" or to impose common-carrier obligations on ISPs. But even authorization from Congress would not have saved the net neutrality rules from Kavanaugh's dissent, as he also argued that the rules violated ISPs' First Amendment free speech rights. As you may know, consumers generally expect ISPs to deliver Internet content in un-altered form. For example, you may expect to visit ESPN.com without Comcast interfering with your request, since this is the basic open network structure the Internet has been built upon. But in 2017, Judge Kavanaugh argued that ISPs are like cable TV operators. And, since cable TV companies can choose not to carry certain channels, he claims Internet providers should be able to choose not to allow access to certain websites. "Internet service providers may not necessarily generate much content of their own, but they may decide what content they will transmit, just as cable operators decide what content they will transmit," Kavanaugh wrote. "Deciding whether and how to transmit ESPN and deciding whether and how to transmit ESPN.com are not meaningfully different for First Amendment purposes." [Under Supreme Court precedents,] the First Amendment bars the Government from restricting the editorial discretion of Internet service providers, absent a showing that an Internet service provider possesses market power in a relevant geographic market. Here, however, the FCC has not even tried to make a market power showing. Therefore, under the Supreme Court's precedents applying the First Amendment, the net neutrality rule violates the First Amendment. "Because a broadband provider does not—and is not understood by users to—'speak' when providing neutral access to Internet content as common carriage, the First Amendment poses no bar to the open Internet rules," they wrote at the time. Judges Srinivasan and Tatel also disputed Kavanaugh’s Chevron argument. "[T]he Supreme Court, far from precluding the FCC's [net neutrality] Order due to any supposed failure of congressional authorization, has pointedly recognized the agency's authority under the governing statute to do precisely what the Order does," they wrote. Kavanaugh's net neutrality dissent has earned some recent criticism. Senator Amy Klobuchar (D-MN) expressed "serious concerns" about the way in which Kavanaugh "went out of his way to dissent against net neutrality" in 2017. Senator Ed Markey (D-MA) said Kavanaugh's claim that the Obama-era FCC's net neutrality rules were unconstitutional shows "whose side Kavanaugh is really on." "A free and open internet is the greatest platform for expression of First Amendment rights," the lawmaker tweeted. Judge Kavanaugh has also weighed in on the issue of government surveillance of communication networks and technologies. In November 2015, Kavanaugh was part of a unanimous decision when the D.C. Circuit denied a petition to rehear a challenge to the National Security Agency's bulk collection of telephone metadata. Kavanaugh was the only judge to issue a written statement. He said, “[t]he Government's collection of telephony metadata from a third party such as a telecommunications service provider is not considered a search under the Fourth Amendment." The Fourth Amendment allows governmental searches and seizures without individualized suspicion when the Government demonstrates a sufficient 'special need'—that is, a need beyond the normal need for law enforcement—that outweighs the intrusion on individual liberty. The Government's program for bulk collection of telephony metadata serves a critically important special need—preventing terrorist attacks on the United States. In my view, that critical national security need outweighs the impact on privacy occasioned by this program. He had a more mixed record in a case debating whether authorities needed a warrant to place a GPS tracker on a suspect’s car (United States v. Jones). On one hand, he and other Republican judges said the suspect had no reasonable expectation of privacy in his public movements. But Kavanaugh separately said the government might have violated the suspect's property rights by tampering with his vehicle — an argument that Justice Antonin Scalia later cited in ruling that authorities indeed need a warrant. Judge Kavanaugh’s positions on both surveillance and net neutrality have many senators concerned. Kavanaugh may have difficulty gaining the vote of a skeptical Senator Rand Paul (R-KY) over the government’s surveillance powers. Sen. Paul has long been against U.S. spy agencies' sweeping collection of data. However, two centrist Republican Senators, who may hold the key to Kavanaugh's confirmation, struck a different tone. Sens. Susan Collins (R-ME) and Lisa Murkowski (R-AK), who both voted for Kavanaugh's nomination to the D.C. Circuit Court in 2006, signaled a measure of comfort with his nomination. Republicans need a simple Senate majority to confirm Kavanaugh. They currently control just 50 votes while Sen. John McCain (R-AZ) is out recovering from brain cancer, meaning a defection by just one Republican senator could throw the nomination into doubt.